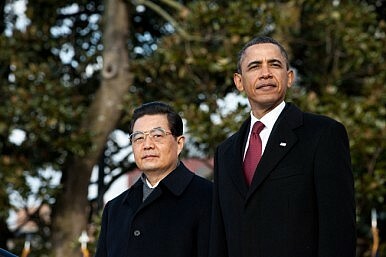 Some argue mistrust between the U.S. and China stems from lack of awareness. Maybe they just don’t agree. The tone of U.S.-China relations over the past couple of years is arguably encapsulated in two sets of views: those of American commentators and opinion leaders, who claim that China is becoming more assertive or even aggressive, and their Chinese counterparts, who argue that by “pivoting” back to Asia the United States is seeking to constrain China’s rise. Both sides frequently dispute the others’ analysis. However, a recent Brookings report by Kenneth Lieberthal and Wang Jisi underscores how entrenched these views are, and just how prickly things are ahead of this week’s Strategic and Economic Dialogue in Beijing. The logic behind the report is that “each side can better manage the issue of strategic distrust if its leaders have confidence that they have an accurate picture of the way the other leadership thinks on the issues that produce this distrust.” Based on this logic, the core of the report tries to understand each side’s point of view, with the aim of increasing mutual understanding. However, if one looks closely into the issues discussed in the report, it’s not clear whether it’s actually a lack of understanding so much as specific disagreements that are at the root of the distrust. Be that as it may, these positions aren’t unknown to the leaders of both sides. In fact, after regular wrangling over this issue, each side knows very well the other’s thinking. With this in mind, it’s clear mistrust arises not from a lack of understanding, but more from fundamental disagreements intrinsic to the differences between the two countries’ political institutions, value systems and geostrategic interests. Likewise, China’s concerned response to U.S. reconnaissance activities near China’s coast, and U.S. suspicion of a Chinese anti-access and area denial strategy, is listed in the report as another source of mistrust. Despite claims of freedom of navigation, U.S. surveillance activities along China’s coast are largely driven by its suspicion of China’s military intentions and capabilities. Chinese leaders understand U.S. thinking on this, while U.S. leaders also know that China is sensitive to the security of its coastal areas. These “mutual understandings” can be attested by official and unofficial pronouncements and publications on both sides. Nevertheless, both sides still carry on their potentially provocative activities. This is clearly not because they are unaware of each other’s thinking on the matter, but because they just don’t agree with each other, and both want to change the other’s behavior. In essence, their fundamental interests are at odds. To be sure, misunderstandings, misconceptions or miscalculations between the two countries do exist and are something that can be worked on. But mistrust between the United States and China, especially when stemming from military and security issues, is inextricably intertwined with history, differences in political systems and values, and sometimes irreconcilable conflicts of interests. Such differences defy resolution unless mindsets or circumstances change. When the report asked the central question of “what array of military deployments and normal operations will permit China to defend its core security interests and at the same time allow America to continue to meet fully its obligations to its allies and friends in the region,” the answer essentially suggests that no middle ground has yet been found. However, such profound disagreements by no means indicate that the U.S.-China relationship is ultimately a zero-sum game. The competitive part of the relationship, especially the military domain, may in fact be zero-sum, but this competitive domain is only part of the relationship. There remain many issues, such as in the non-traditional security arena, where the two countries’ leaders can find common ground to build trust and confidence. Unfortunately, despite being well-intentioned, the report has been misinterpreted by alarmists as yet another manifestation of the troubling hostility between the two countries, and has been misused as evidence of zero-sum thinking in the Chinese leadership that calls for stronger hedging measures from Washington. Yet setting the report aside, mistrust has actually been a normal state of affairs for U.S.-China relations, a situation that appears unlikely to become unmanageable under current circumstances as long as both sides exercise self-restraint. Long-time observers of U.S.-China relations know that there are always ups and downs in the relationship, and today’s mistrust by no means qualifies as a low point in bilateral ties. Indeed, it might be inevitable that today’s more regular engagement and better understanding between the two countries might actually increase the number of potential areas of friction. Regardless, some degree of friction is still better than the almost complete lack of engagement of decades past. Without ignoring the potential danger from mutual mistrust, the current disagreements are in some ways a healthy sign of a maturing relationship. And given how much these two large countries differ politically and culturally, what exists today might not be so bad after all. Yaping Wang is Program Manager of the Asia Program at the Carnegie Endowment for International Peace. The views expressed are the author's own.